Most of the time, table tennis tables come with a net and post set included with the purchase, however, we all know that they’re not always as quality as we expect it to be. It also depends on the investment you’ve made. However, 8 times out of 10, lower-priced table tennis tables will always come with a net and post set that is okay for casual ping pong matches but isn’t ideal for intermediate players and competitive games. We all know how unfair it is to lose a point over a net that isn’t holding up well – and we all know that it can kill your motivation. However, with table tennis nets and post sets listed in this post, you’ll have to make another small investment that will pay off big time. If you’re looking for a simple and inexpensive table tennis net that includes post set that will make your games much better in no time – EastPoint offers a great net and post set. We liked the system of netting that offers a quick set up, and not only it is easy to attach and remove after use, but it’s also very convenient to store afterward. What’s even better is that you don’t have to worry about the dimensions or sizes as this net and post set fits most tables and even conversion tops up to 2.75 inches thick. With the strength of steel posts which aren’t only durable but also adjustable, you’ll have everything to get yourself ready for the next game. Clip grip is our favorite type of table tennis net for recreational and even a bit of competitive use when you’re outside of the training arena. Kioos collapsible table tennis net offers exactly that with the ability to offer a tournament-like experience for almost any table tennis table out there. It’s a 72″ premium cotton blend net which is made from heavy-duty steel post that will last for long. What’s even better is how easy and effortless it is to remove and attach this net thanks to the spring-activated clip. Once you put it in place, you don’t have to worry about anything else, yet enjoy the durability and precision of this net. No matter how wide your table is – Kioos table tennis net will fit most regulation-size tables (up to 60″ wide) and up to 1.5″ table thickness. So the chances this net will fit your table are very high. If you have a bit more money to invest in a net set that will offer only the best, going for a brand like STIGA is a great decision. STIGA offers a Premium VM Net Set that is almost identical to the professional nets by STIGA used in the tournaments around the world. What makes this net even better is that it’s been approved by ITTF which means you can use this net at any tournament or competition – no matter the level. It even features the sturdy blue striped net along with the brackets. And what it has and most other nets don’t have is the net strap which allows players to easily adjust net tension to match the expectations of any skill level. If you’d still like to keep the quality of a brand such as STIGA yet you’re looking for a clipper net and post set, we have some brilliant news. STIGA offers the same Premium net and post set in a clipper style. This means you can get the same quality of the VM net set in a clipper style. Nevertheless, this net and post set is approved by ITTF which means that it can be used for any competition and tournament. It’s made from premium cotton blend material and is combined with a heavy-duty steel post so no matter on which table you attach it – it’s staying there throughout the whole game. With a clipper style, easy set-up and removal are guaranteed thanks to the spring activated clip which is just part of the clipper style. What’s surprising is that you’ll also receive a height measuring tool to precisely set the tension of the net so it’s suitable even for the professionals. When you’re looking to play like a champion for a very affordable price, JOOLA will surprise you with its perfect outdoor net and post set. It’s a tournament-level net and post set that is made for outdoor use and therefore it is made with special material and fabrics to withstand weather, making this complete net and post set weatherproof. It’s really nice to know that you can leave this net attached to your table even when you aren’t playing without having a thing to worry about. The complete net is made from nylon material in combination with plastic posts that allows you to still play your way and still adjust the net to match your playing style and expectations. It can fit any standard size table which is about 9 x 5 foot and a table that is up to 1.5 inches thick. If you’re pretty familiar with the brands in the world of table tennis, you’d know that Killerspin makes very quality ping pong rackets and now they’ve introduced their own clip-on net & post set that will turn your table tennis table into a professional match arena. It’s a net and post set that will fit most standard tables which are up to 1 inch wide. It’s very easy to assemble and attach the net since clip-on style truly makes it efficient so you won’t have to waste your time figuring things out. What we have liked the most is the rubber padding Killerspin added at the bottom of the posts to protect the table from scratches, but also at the same time provide a tight grip when attached. DHS is just another well-known brand in the world of table tennis that still yet offers a pretty affordable table tennis net and post set that will provide you with a professional style & competitive level of play. We like how this net and post set is made out two parts where net fixing is inside and post fixing is a spring type. This allows adjustments that will match the expectations and needs of even professional table tennis players. Even the height and tension adjustments are available which is really nice to see in a net that is so affordable, yet is made by one of the largest table tennis brands. The 72″ net is made from a cotton mesh and the posts are made from a heavy duty metal that will make sure this net & post set lasts for long. We must admit that JOOLA is one of the best producers of table tennis nets with their range of most professional nets to net sets suitable for casual and intermediate players. 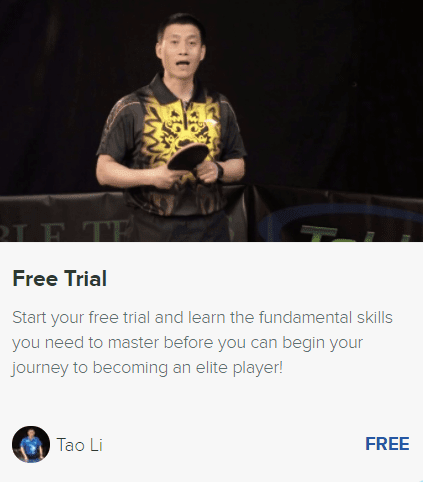 What’s interesting is that even some of their lowest priced net sets come with the full support and are ITTF approved which makes them perfect for tournaments of all levels. JOOLA’s WM Table Tennis net set is suitable for tables up to 1.5 inches thick where it’s being installed by attaching two solid metal posts and double woven cotton-steel thread net. It’s good to know that this net offers a standard net height and you will even get a rubber thickness ruler to make sure you set the net up to the professional standards. Needless to say, both height and tension features are adjustable and what we liked the most is the rubber padded bottom of the posts that provides ultimate grip and clasps the table just enough to provide the most stable net throughout the game. If you’re not a highly competitive player yet you’re just looking for a net set to replace the standard net you get with a ping pong table you purchased from the store – Killerspin offers Apex ping pong net set which is really affordable and makes a great choice. It offers an impeccable style and function by offering the stylish yet highest quality available on the market nowadays. What’s really great is that Apex net set is really simple and easy to install and remove anytime since it comes with 2 posts, a net, and even a measuring tool that will help you correctly set the net for the best ping pong matches. This net even offers a tensions adjustment so you will always get the best out of the net to match your playing skill. No matter which net set you to go for, these all net sets come from some of the best brands in the world of table tennis and are yet very reasonably priced. If you’ve recently made an investment to purchase a ping pong table (or you’ve been crafty enough to build your own table), investing just a little bit into a quality net set is the next best decision you can make. You can expect endless hours of fun yet fair ping pong games for any skill level.